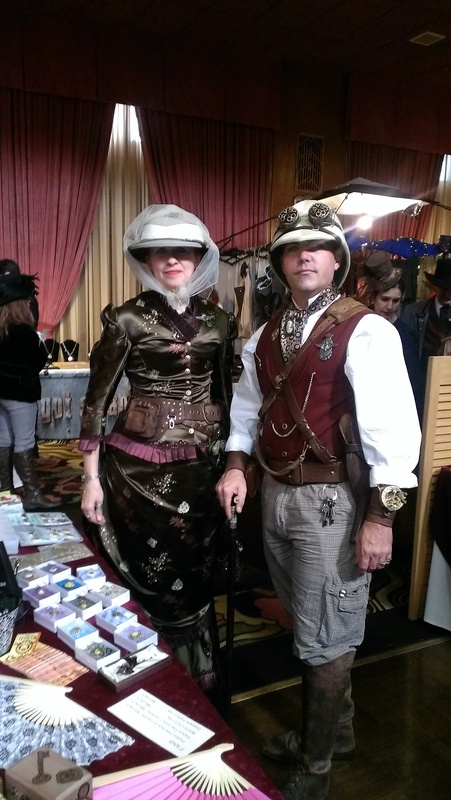 ← Steampunk Symposium This Weekend! What a fantastic time! 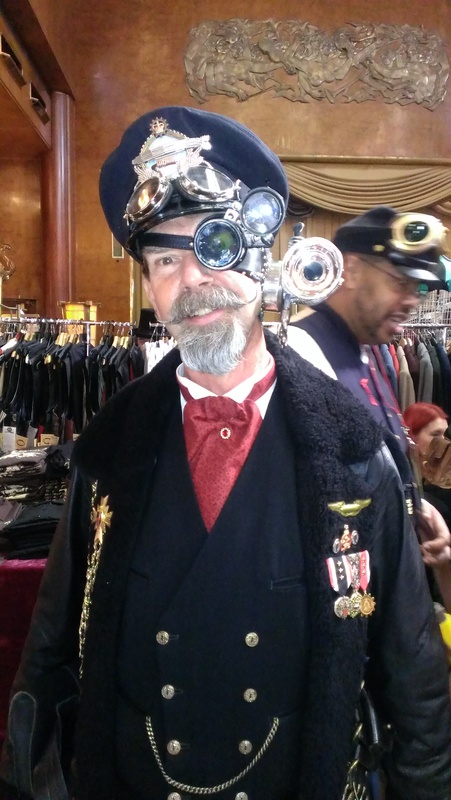 As always, Steampunk Symposium was a blast. It’s definitely a con Colleen and I look forward to every year. 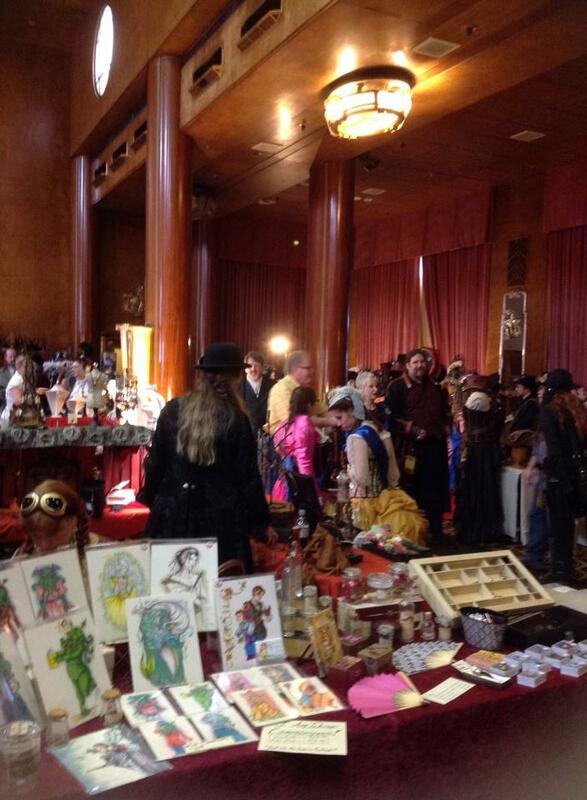 A fun con combined with the beautiful scenery of the Queen Mary makes for a very memorable con. Thanks everyone who dropped by the booth! 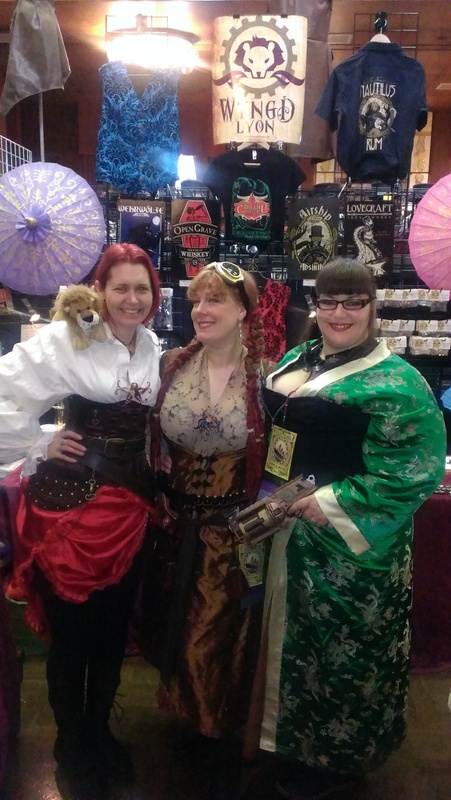 This year, we were joined by Andee from Twylite Creations. And when the three of us together, you know its going to be a fun time full of shenanigans. 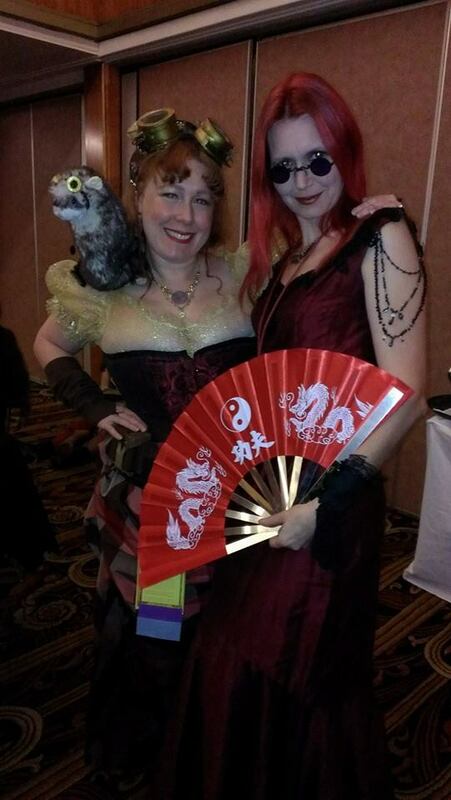 So without further ado, here’s a few pics of our weekend antics! 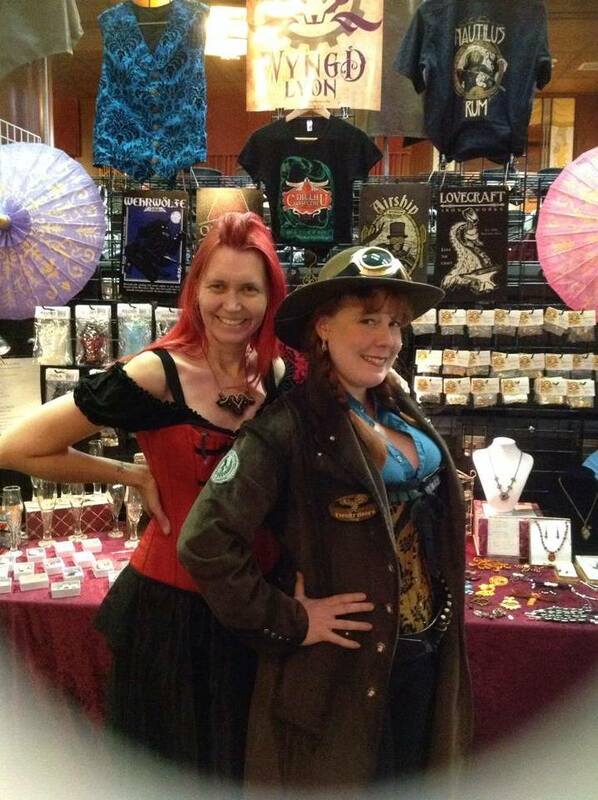 Granted my hat made me look more like a steampunk park ranger but eh, I’m still refining it. 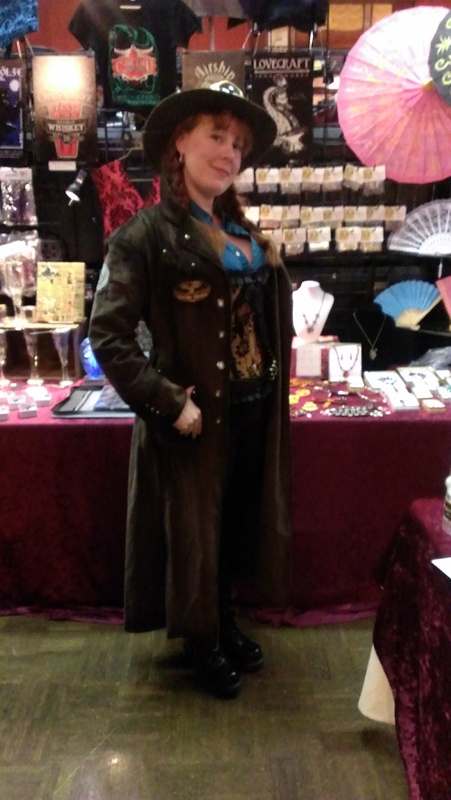 I should have more of a handle on what I want it to look like by Wild Wild West Con. We ran into some awesome folks that first day too. And I even remembered to take photos. Who knew? This crew here were awesome folks. 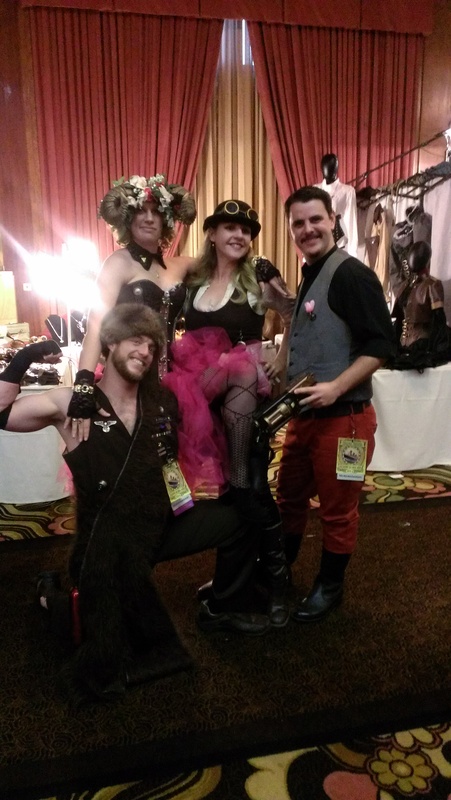 The gentleman in the fur hat and the lady with the horns were hilarious! I’m a sucker for a period bathing suit. Isn’t she adorable!? 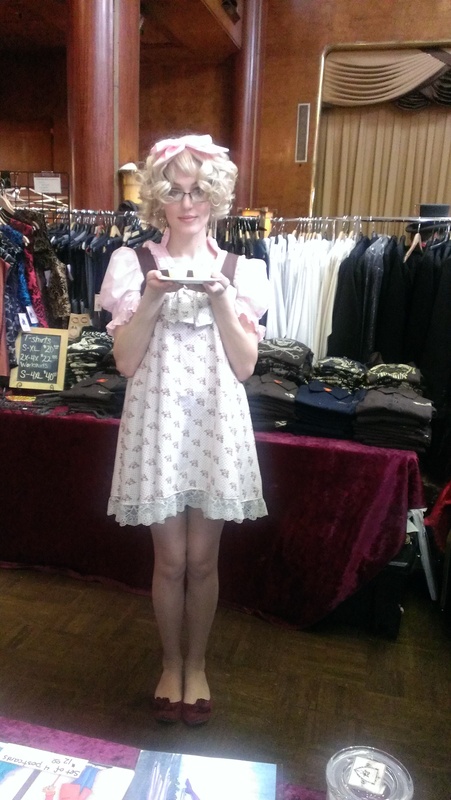 And adorable pajama clad lady from Last Wear gave us cupcakes. They were quite tasty. 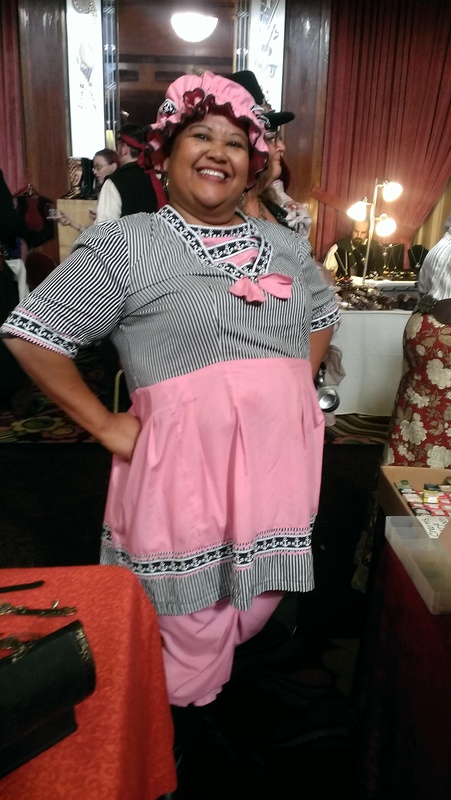 Day 2 I donned the Annabelle costume and was busy taking commissions. 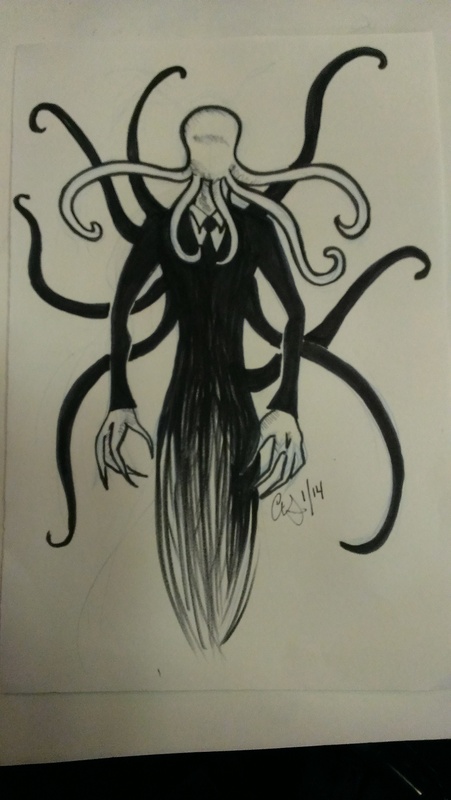 I was surprised how many people were interested in sketches! 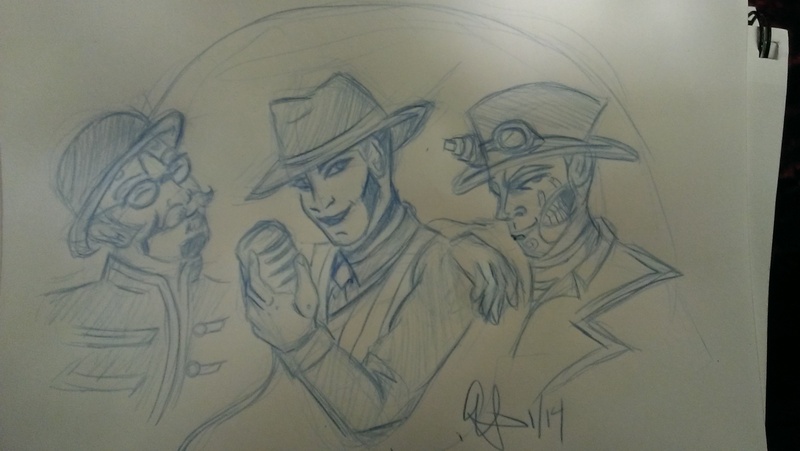 A Steam Powered Giraffe fan asked me for this one. I loved sketching the boys. So much fun! 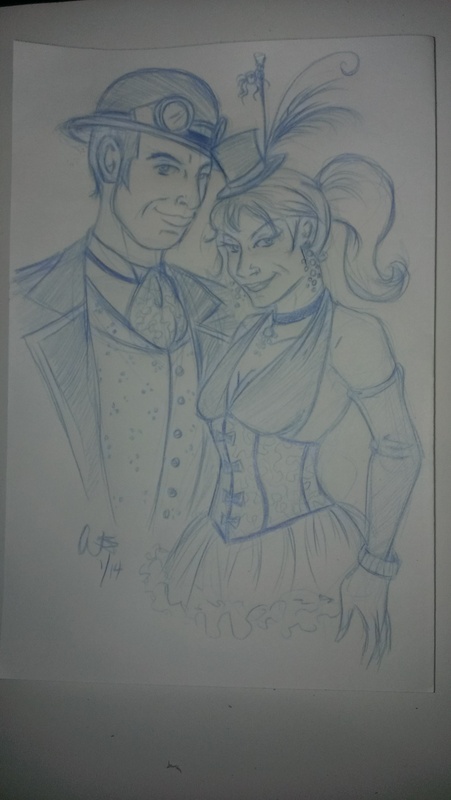 A fabulous lady and her husband hit me up for a quick sketch as well. 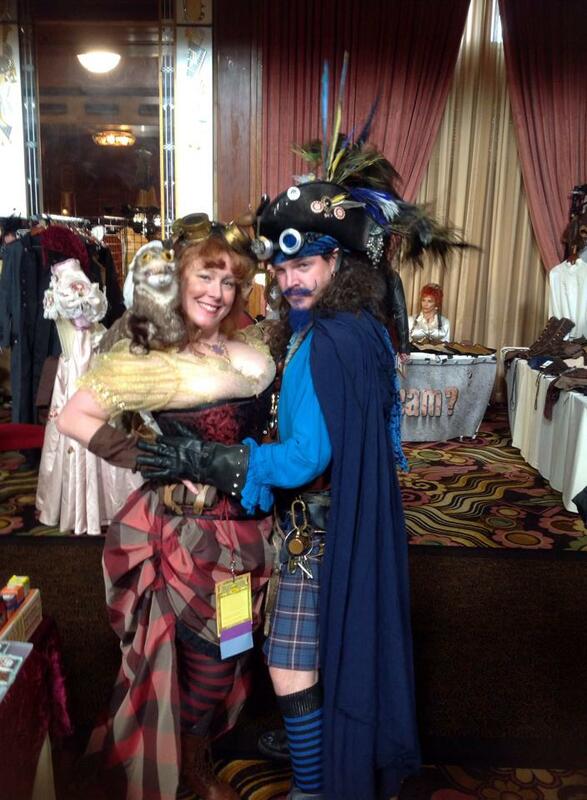 Pirate comedian Bluebeard dropped by our booth as well. I couldn’t resist getting a photo with him. My one of two con buys. 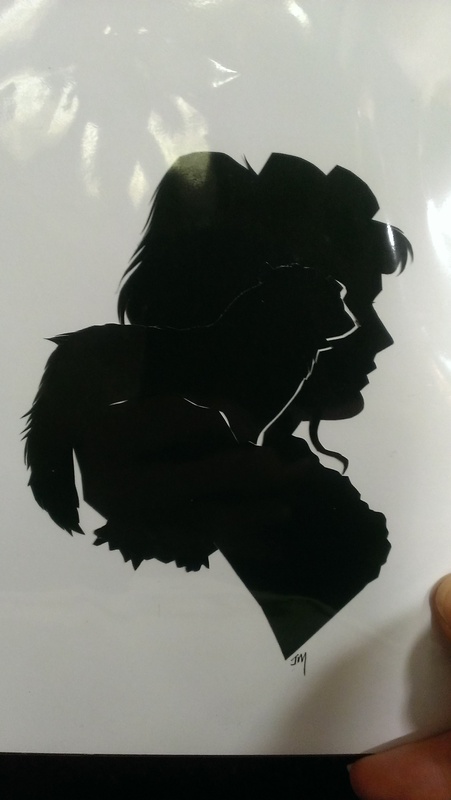 Silhouettes by Jordan did this lovely one of me as Annabelle with my ferret, Senor Squeakypants. 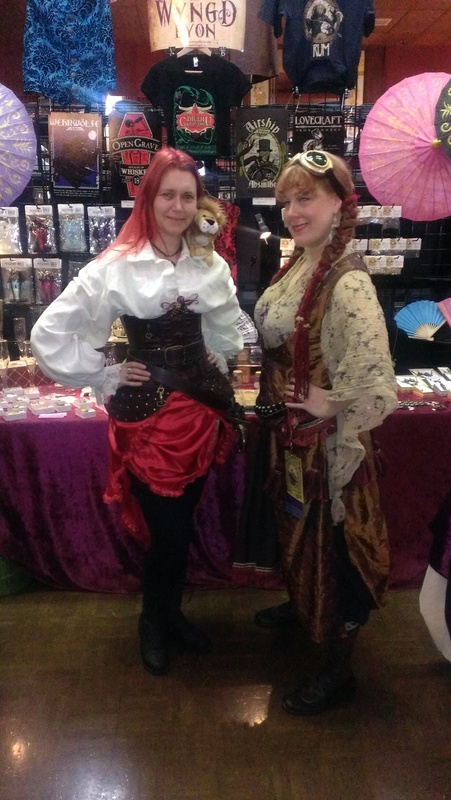 Day 3 was Airship pirate day! My second con buy. 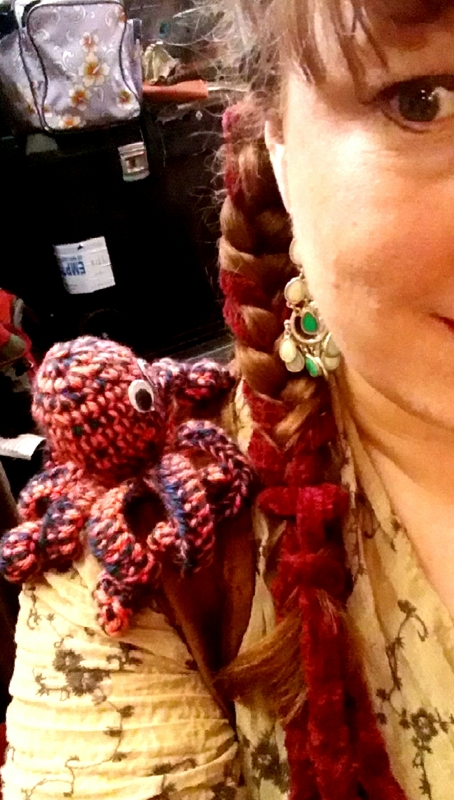 I have a love for octopus. I named him Winchester. He looks like a Winchester to me. Once again, thanks all who dropped by the booth, and a BIG thanks to all who commissioned me and picked up a print or two. 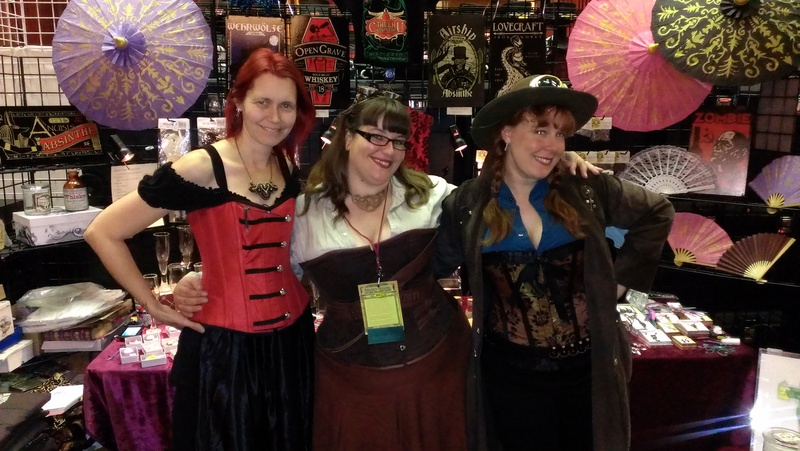 Our next stop is going to be Wild Wild West Con in Tucson, AZ. I’ll be taking commissions again so don’t be afraid to come find me and ask if you plan to be there! I’ll also be debuting a new set of prints there. Stay Tuned! 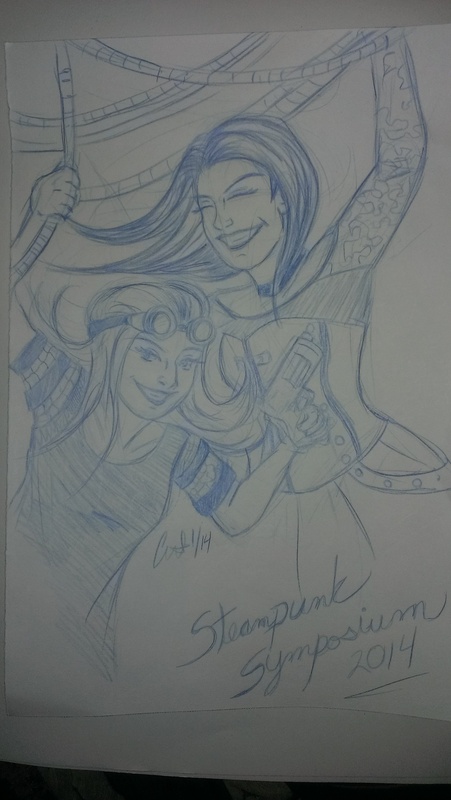 I have a bunch of new sketches to scan and show.